This modern hotel is in Centro, only a few minutes from Granada Cathedral. The hotel is only a few moments from the Madrasah of Granada and Royal Chapel of Granada. Facilities at the Hotel Anacapri include family rooms, massage services and meeting rooms. The hotel also offers babysitting / child services, a 24 hour reception and bicycle rental. The hotel also offers its guests with an airport shuttle service. The Hotel Anacapri offers comfortable and pleasant rooms equipped with cable / satellite channels, a hair dryer and complimentary toiletries. A flat-screen TV, a private bathroom and an in-room closet can be found in each room of the hotel. Heating, a desk with an electrical outlet and a radio are also available in every room. To ensure your day gets off to a good start, the hotel serves a buffet breakfast daily. Guests can visit the on-site charming bar before heading out to explore the surrounding nightlife. The hotel also provides guests with the added convenience of an on-site restaurant. Situated close to a range of popular hot spots, the hotel is in close proximity to lots of bars, nightclubs and quality restaurants. The Archaeological Museum of Granada and the Monastery of Saint Jerome are within a 10 minute walk of the hotel. 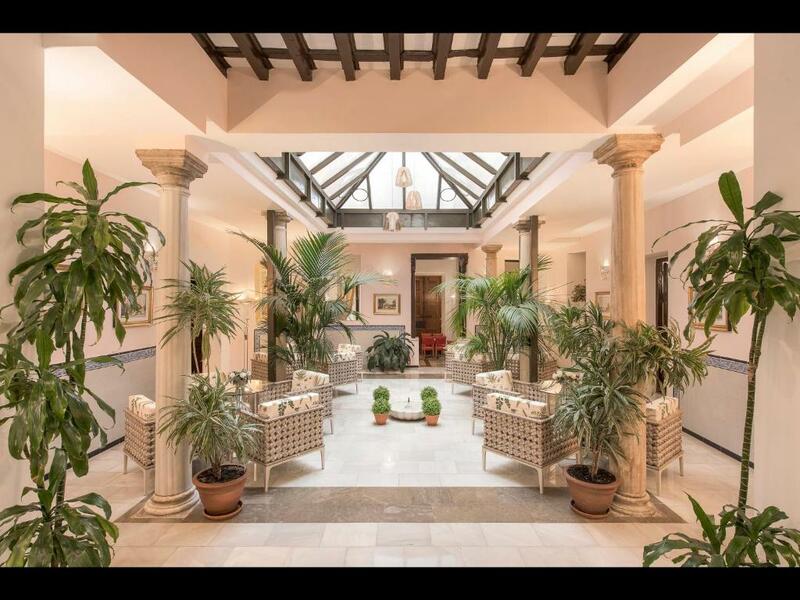 This hotel is 1204 metres from the Alhambra entrance, 110 metres from Plaza Nueva (the absolute centre of Granada), 1490 metres from the train station and 2950 metres from the bus station.